From preparing for entrepreneurial events, filing a patent in Los Angeles, to finding the best mentors in Los Angeles, there’s no doubt that starting a business in the “City of Angels” can be such backbreaking work! That’s why we created this comprehensive guide so that all LA startups know exactly where to start, as well as what their next steps are before filing for a patent (or two). So without further ado, here are the top 20 essential resources for entrepreneurs and inventors in Los Angeles (plus a few bonus ones). From its “innovative academics and groundbreaking research to its top-tier medical centers”, UCLA is one of the top schools in the nation. This is especially true when it comes to business and technology. Not only did its faculty and alumni helped develop the Internet and pioneered reverse osmosis, but it also has more than more than 140 technology companies developed. It is also home to the UCLA Anderson Venture Accelerator program, which is designed to help students utilize UCLA’s resources within the Anderson community. Otherwise referred to as Throop University in 1891, the California Institute of Technology is designed to help student startups get the start that they need to make their businesses a reality. In addition to providing students the resources that they need to succeed, Caltech also manages the Jet Propulsion Laboratory (JPL) for NASA, which is designed to send probes to explore the planets of our solar system and quantify changes on planet Earth. It even owns and operates large-scale research facilities such as the Seismological Laboratory and a global network of astronomical observatories, including the Palomar and W. M. Keck Observatories. This institution is especially popular among scientific startups. Ranked #1 in 2016 for being the top lending market in America, The U.S. Small Business Administration (SBA) Los Angeles District Office (LADO) is the nation’s top international trade and manufacturing center. It is the first district office to lend nationally to minority and women-owned businesses. It is also active in government contracting. For those looking for a group that offers technical training and coaching for small businesses, this is an excellent starter tool. Located at the College Advancement and Economic Development (CAED), the LA SBDC provides small business entrepreneurs and leaders with no-cost, confidential, business advising services. It also provides low-cost training opportunities across Los Angeles, Santa Barbara, and Ventura Counties courtesy of a Cooperative Agreement with the U.S. Small Business Administration. Based in Orange County, CA, Inventors Group is a non-profit organization designed to help inventors collaborate with other inventors in the area. It is one of the few groups that is recommended by the USPTO (the United States Patent and Trademark Office). They also hold monthly seminars that are open to the public at Chapman University in Orange, California. For those who want to participate in any of the group’s meetings, all members are required to sign a mutual NDA. Around since July 2016, Invention Ideas is a group created to help inventors in the Los Angeles area collaborate with other inventors, artists, entrepreneurs, and many others of similar backgrounds. In addition to providing a space for inventors to share their ideas online, they also host meetups for members to come together and interact with one another. Founded in 1987, the Entrepreneur’s Organization in LA is geared to helping startups communicate and collaborate with other startups in multiple areas around the world. In addition to hosting networking events, the group also free online resources for those who want to improve their business skills (as well as many other benefits). Some of its major partners include WeWork and Microsoft. Founded in 1985, the Los Angeles Venture Association(LAVA) has been providing forums and other resources for entrepreneurs and other start-up members to succeed in today’s competitive global market. In this group, members can post articles related to entrepreneurship on the website and meet with fellow executives, investors, bankers, and other professionals in order to better understand how to run their businesses. Some of its major events include the Meet the VC conference, First Look LA conference, and the LAVA Awards Dinner celebration. Around since 2008, the Small Business Expo a free, one-day event geared to putting on” fun and educational events that will help Small Business Owners and Entrepreneurs thrive” in 17 major U.S. cities (including LA). Some of these events include Product Demonstrations, Speed-Networking, a Business Card Exchange, and many others. It also happens to be partners with the U.S. Small Business Administration. Supported by the U.S. Small Business Administration (SBA), SCORE is a non-profit organization geared to helping businesses get the support that they need in order to succeed. In addition to providing free or inexpensive classes and tools, SCORE also free, confidential business mentoring in person, via email or by video. As of now, SCORE has over 350 chapters throughout the United States and its territories, with over 11,000 volunteers nationwide. Most of these volunteers consist of working and retired executives and business owners helping out as business counselors. Created in 2006 by three different organizations: the Los Angeles Advertising Agencies Association, the Ad Club of Los Angeles and the Magazine Representatives Association, ThinkLA is a creative marketing organization geared to help its members promote themselves in today’s competitive market. To do this, ThinkLA pair businesses with the right mentor(s). Over the course of five months, businesses and mentors work together to help accomplish the goals of tomorrow. For those who want to pursue a career in advertising, this is a good program to join. 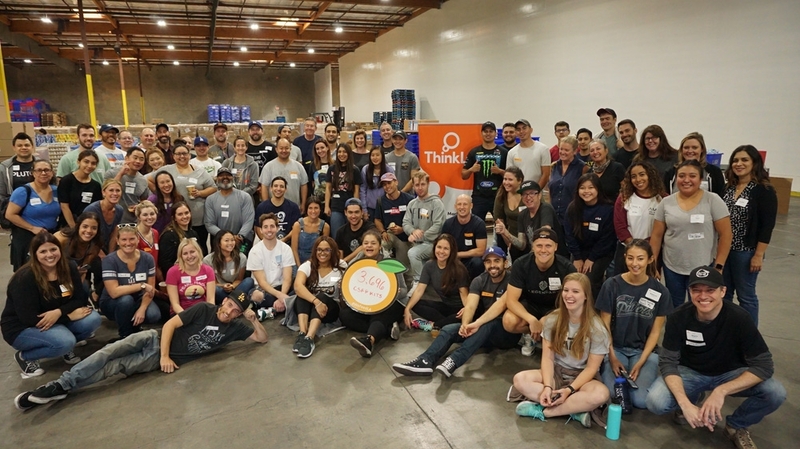 “ThinkLA’s mission is to connect, educate and inspire the Southern California marketing community. Our goal is to facilitate business growth and promote the intellectual infrastructure for creativity. We bring together creators, buyers, and sellers and help our members stay ahead of the curve and prosper in the rapidly evolving advertising ecosystem. We help our members survive and thrive. Make in LA is referred to as, “Southern California’s epicenter of hardware entrepreneurship” according to their website. It is a hardware based accelerator that focuses on helping startups avoid, “costly pitfalls” by having them go through a four month training program. All that they ask for return is that their startups make the most out of their training program. During the first month of the program, students find the right mentors and get feedback on their business models/strategies. During the second month, students execute their ideas and business strategies/products. During the third month, students present what they have found/created on Demo Day. It is because of this program that accelerators such as former accelerator LaunchPad LA are created. Combining today’s healthcare with tomorrow’s innovative technology and entrepreneurship skills, Cedars-Sinai Accelerator provides companies with $100,000 in funding while having them go through a 3-month training program. In the past, they have helped companies such as CardioCube and MedPilot get themselves off of their feet. This way, companies can build long-lasting relationships via online creation. As of now, most of the companies that they helped build images towards are medical companies such as Mayo Clinic and entertainment companies such as E! Entertainment. They even helped recreate the Museum of Jewish Heritage’s social media pages. Founded by former research associate and lab manager, Betsy Manos, Lab Launch Consulting, LLC is a scientrepreneur incubator geared to help scientists set up and relocate their laboratories. According to their website, their methods have saved institutions $25K to $100K in start-up costs and reduce downtime by 70%. This way, scientists would have more time to focus on finding and creating the tools needed to benefit humankind for future generations! In addition to lab relocation, Lab Launch also offers new facility designing and new lab startup services, each of which are custom-tailored to everyone’s needs! Founded in 1996, Idea Lab is the longest running technology incubator according to its website. Since it first started, it created over 150 companies with more than 45 IPOs and acquisitions. In the past, they have helped companies such as award-winning coding school Code Spark and bill saving app company Papaya get to where they should be. In 2015, founder Bill Gross participated in a TED talk explaining why startups succeed. Founded in 2014, Expert Dojo is a Santa Monica based incubator that helps entrepreneurs achieve their dreams by providing them with expert mentors. Some of the companies that they helped give their start to include HR Matching System company TEAM PLUS and physical health company Tersa. Named after Thomas Edison’s “original hackers”, Mucker Capital is a seed funding group that invests in seed and “pre-seed” stage companies building defensible and scalable businesses in Internet software, services, and media. It is also home to MuckerLab, which was ranked number 2 in the country at one point. According to GeoLinks’s 7 Best Business Resources in Los Angeles, “[Mucker] likes to get involved early on with companies, not just with funding, but with mentoring, coaching, and setting up new ventures for success. 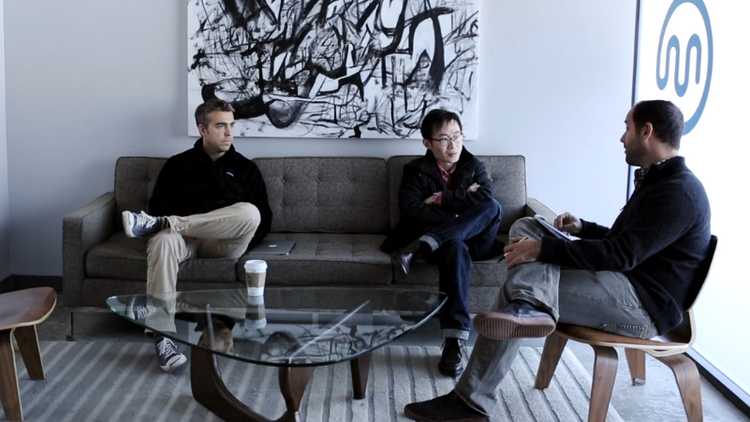 ” As such, Mucker Capital is not your typical money giving seed funding group. As of now, most of the companies that they provide funding to include tech companies such as Mind Mate and hobby companies such as Bloom Nation. Named after a Swedish coffee gathering tradition, Fika Ventures strives provide businesses with the support and finances that they need to succeed. In the past, they have helped provide funding to companies such as food borne illness detection company Path Spot and bill saving company Papaya. Once a year, they host a retreat to bring together some of America’s top inventors, entrepreneurs, and executives for a day of discussion. This retreat has been deemed as “one of the top tech events in Los Angeles” according to its website. MiLA Capital is a seed-funding group created to help hardware technology companies (especially) to get their businesses off the ground such as LA’s very own hardware epicenter Toolbox LA. In the past, they provided funding for companies such as sensor system startup Acqubit and high-tech street fashion company Thesis Corture. Its early-stage accelerator is Make in LA. Developed in 2017, the Helm is one of the few seed-funding companies in Los Angeles that provides funding and support to women-led businesses and products. In the past, they have helped companies such as direct-to-consumer commerce company Haute Hijab and co-working space the Riveter get the funding that they need to run their businesses. They even offer gift guides for those who wish to purchase something made by a women-owned business. From Kleverdog Coworking to Cross Campus Los Angeles, investors and entrepreneurs can choose from a multitude of unique shared coworking spaces. For more information, please read our article, Top 17 Los Angeles Co-working Spaces. In the article, we provide an in-depth explanation of all the different types of co-working spaces available in Los Angeles! 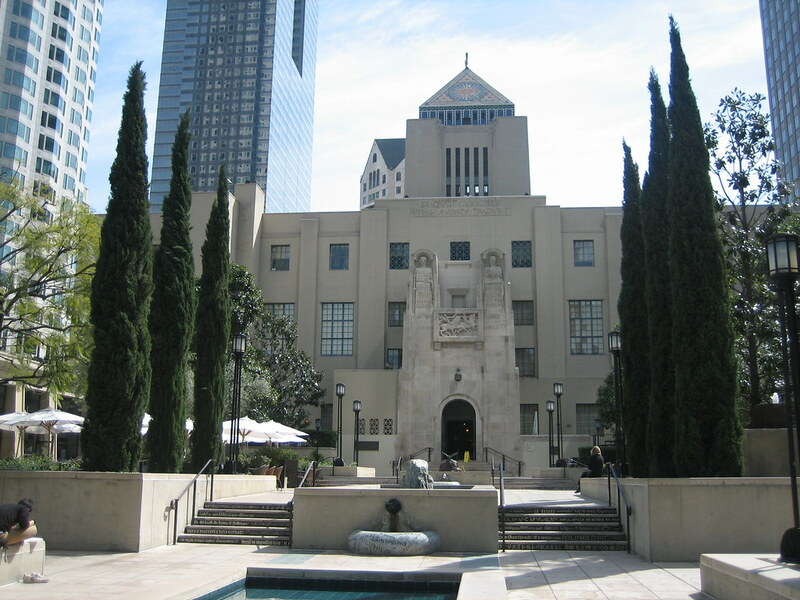 Founded in 1872, the Los Angeles Public Library offers a multitude of free resources for small business owners (and other members) to borrow and utilize such as Reference USA and the Small Business Research Research Guide. According to the LAPL’s Wikipedia article, the library serves the largest population of any publicly funded library system in the United States. It even has a Rare Books department, which is located in the library’s downtown Los Angeles location! Often dubbed, “The City of Angels”, Los Angeles is home to many large corporations and innovative industries such as Google and YouTube. In 2016, it was ranked 25th for being one of the largest American cities for innovation and startup friendliness according to the U.S. Chamber of Commerce. We understand the difficulties of growing your ideas and business in such a competitive market such as Los Angeles. Click here to learn more about the #1 patent firm in Los Angeles! In the meantime, what other resources would you recommend to your fellow entrepreneurs and inventors in Los Angeles? Please let us know in the comments below!